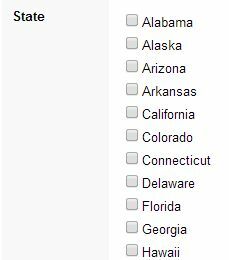 Allows you to use in the form field an object of type checkbox. Data type - Checkbox is an object which allows the selction of one or more information through a marking object. 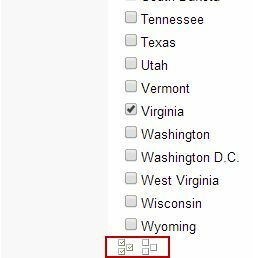 Edition lookup is a way to display checkbox list of values on forms fields. See the image below. There are available two options: Automatic, based in a SQL statement to feed the list of values or Manual which is based on a custom entered list of values. Populates the checkbox object dynamically, based on a SQL statement. Note the SQL statement on the picture below, it is required to retrieve a key ( insert / update) and a value to display on the object as fields on the SQL command. 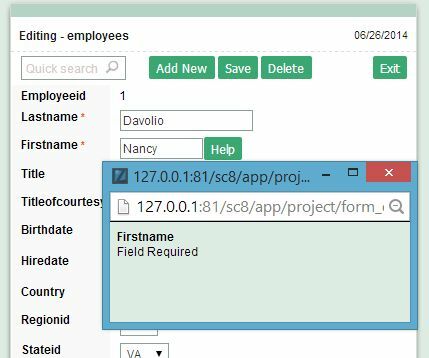 SQL Select Statement - The query used to feed the checkbox object on the form application, The developer shall use the pattern: "SELECT key_field , display_field FROM table ", retrieving always two fields. 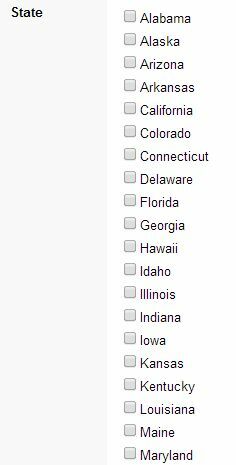 Columns - checkbox number of columns. 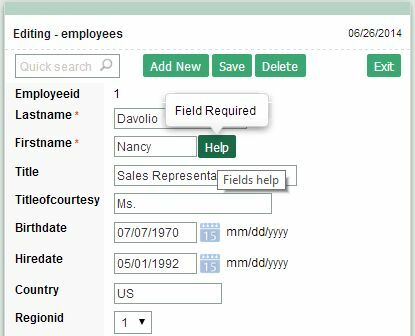 NOTE: The automatic lookup option requires the form field to be string type because multiple selection saves a single string on database table field like AK;ID>;UT when using the semicolon delimiter. 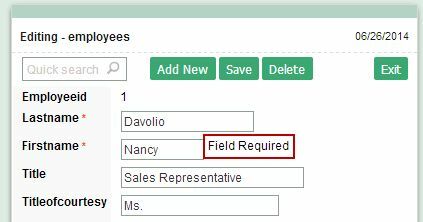 Reload form when value has changed - Forces a form reload when the OnClick event occurs on the checkbox field, it is frequently used to re-load another lists of values which requires this field as parameter. Option check all - Display an object to check all items and another to uncheck all items. 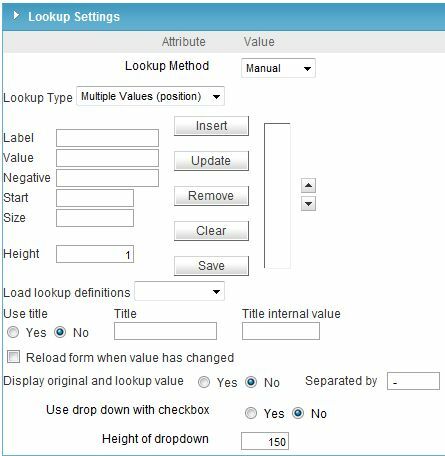 Display original and lookup value - Select No, to display only the value retrieved by the lookup.Otherwise, the field original value and the value retrieved by lookup are displayed separated by the character defined in Separated by. Separated by - Define the characters used to separate the field original value and the lookup return value. Use this option when Display original and lookup value = Yes. Choose connection - Run the select statement in a different connection available in the project. Allows the developer to manually crete a list of values saved in the application when there is no table available with the information needed. See picture below. 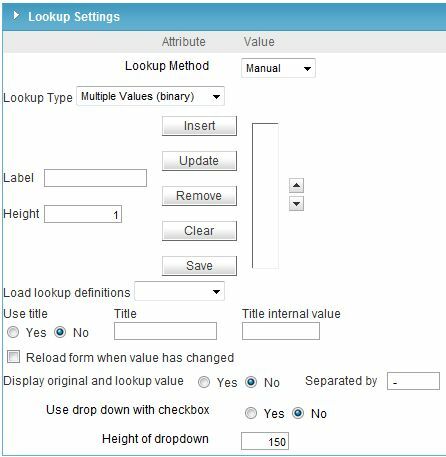 Image1: Edition Lookup Manual Interface. Lookup type - Selects the lookup type: Single Value , Multiple Values (delimiter), Multiple Values (position) and Multiple values (binary). Selects only on value on the list. Image2: Edition lookup - Single Value settings. Label - Text displayed value in the checkbox object..
Value - When an insert / update happens this value is saved on the table's field. For example when Ipho Coffee is selected the value saved is 43. Columns - Checkbox columns quantity. Multiple values (Delimiter) Saves a single string on the table's field based on a list of values displayed. For example the selection: Sports, Movies and Traveling is saved on the table's field as a string like S;M;T. Note the default delimiter ( ; ) semicolon. 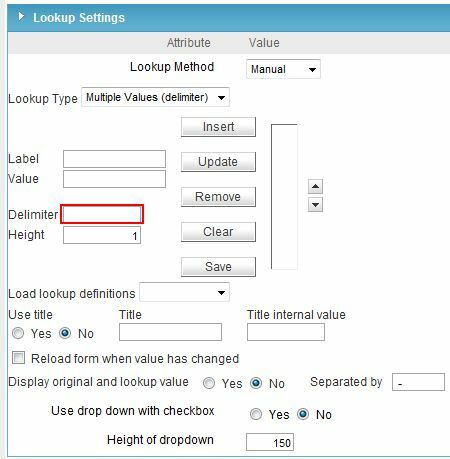 Image3: Edition lookup - Multiple Values (delimiter) settings. Label- Text displayed value in the checkbox object. Delimiter- The character used to separated the items on generated string, only applicable when using the multiple values option.The default delimiter is semicolon ( ; ). Saves multiple values on a single string. Using the Multiple Values (Position) mode is required to enter the label, start position in the saved string and size in bytes each item. For example, to save Gender (1byte), Civil Status(1byte) and Hobby (2bytes) in a single use the table bellow (with the positions used by each item). Value- When an insert / update happens this value is saved on the table's field at the specified position. 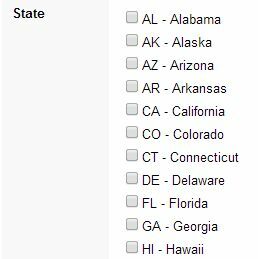 Allows to save a multiple selection as an integer value on a field. See the examples below. 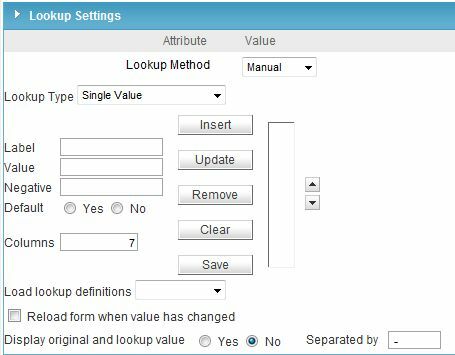 On this lookup field interface the Value to each item is a integer number generated automatically. The selection is converted into an integer which is the sum of the items implicit values before saving. Insert - Insert Label and Value in the values list. Update - Update selected item. Remove - Remove selected item. Clear - Clear the item edit form. Save - Saves the current list of values for re-usable purpose, the saved lists are displayed on the Load lookup definitions field. 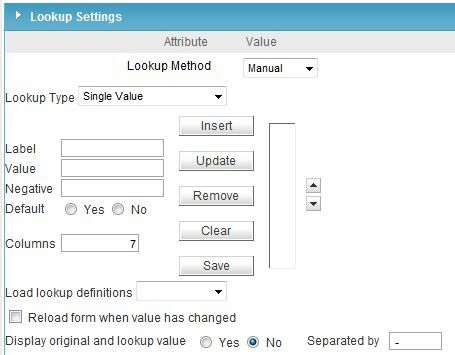 Display original and lookup value - Select No, to display only the value retrieved by the lookup. Otherwise, the field original value and the value retrieved by lookup are displayed separated by the character defined in Separated by.